One actor but with all the audience interaction, bright costumes, colourful set and entertaining puppets you’ve come to expect from Look Out! Theatre Company. Milly goes to the market and buys some delicious food and then goes for a picnic in the countryside. While having her picnic she dreams she is a caterpillar who wants to fly. 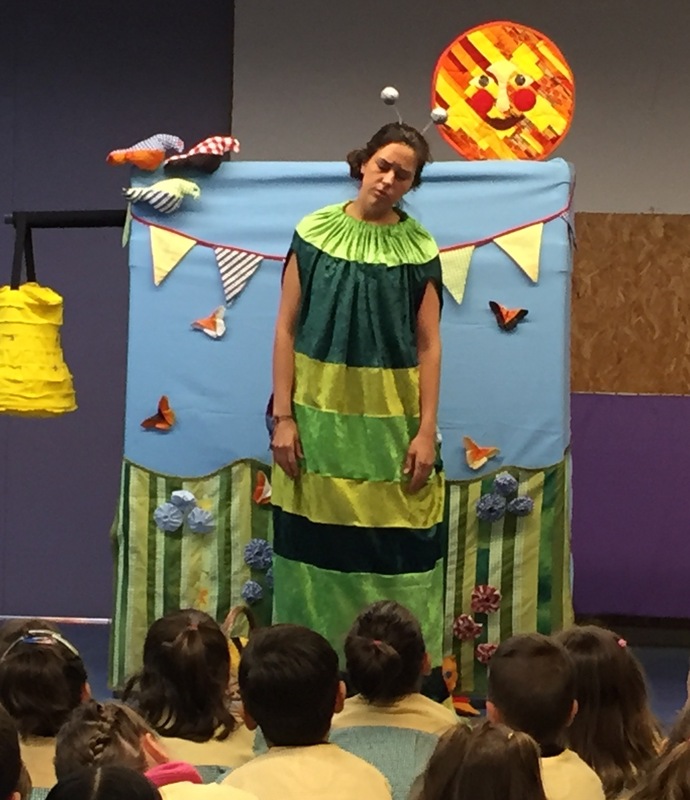 As Milly the Caterpillar, she meets and talks about flying to various puppet animals – a bee, a bird and a butterfly- then she turns into a beautiful butterfly. Students take part! 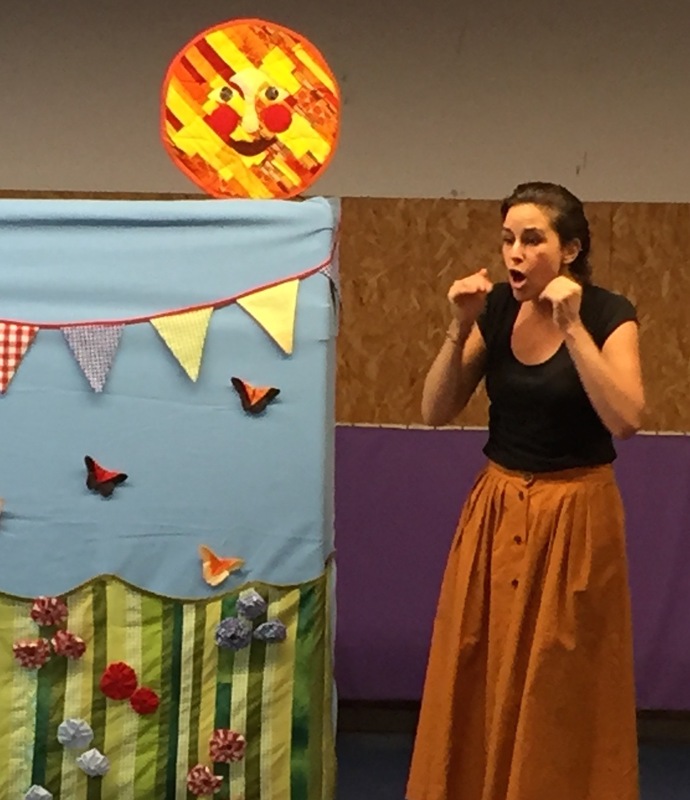 Help Milly pack her picnic and practice the song and actions before you see the show and then your students can sing along and do the actions with the actor. The Student worksheets includes colour the picnic, matching the shapes, feelings and how many? We really love what the characters look like, the colours and the music. It has been a very good play, the children liked it, the materials were very appropriate and well made. The actress was very active and she really helps the students understand the performance. We particular liked the CLIL (Content and Language Integrated Learning) with the subjects of science and healthy food. My students particularly liked the insects flying above them!